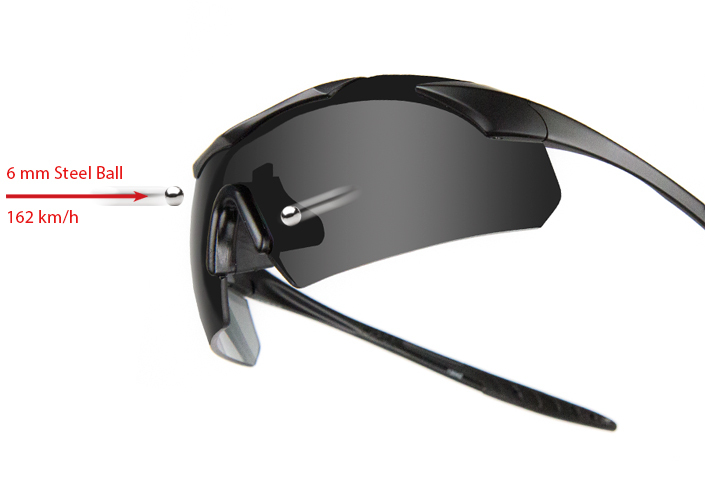 Frame and lens must withstand the impact of a 6 mm steel ball weighing 0,86 gram fired at 162 km/h. The lens must remain in the frame and is not to shatter. The frame must remain intact as well. Frame and lens must withstand the impact of a 6 mm steel ball weighing 0,86 gram fired at 432 km/h. The lens must remain in the frame and is not to shatter. The frame must remain intact as well.